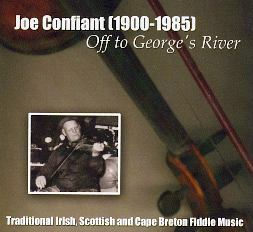 Many of the older residents of Cape Breton's Northside remember Joe Confiant as one of the finest fiddlers of the 20th century. His unique style evolved from local influences, yet his approach to both the instrument and to the music was distinctly different from modern Cape Breton Scottish players. Joe's musical legacy continued into the next generation, his influence being seen most in his nephew, fiddler Johnny Wilmot.